The BMW M6 Competition Limited Edition combines the supreme dynamics of a high-performance sports car and the exclusive features of BMW Individual to form a truly fascinating symbiosis. Appropriate modifications of the suspension further enhance the profile of this unique Coupé designed from the start for maximum performance. New set-up of the springs, dampers and anti-roll bars, together with the body lowered by 12 millimetres/0.47″ at the front and 10 millimetres/0.39″ at the rear, together with a new combination of wheels and tyres, optimise both lateral and longitudinal dynamics to a standard never seen before. The suspension control systems, the control unit masterminding the EDC Electronic Damper Control, wheel track and camber as well as the map controlling the variable M differential lock are all geared precisely to these special modifications of the suspension. The colour concept featured both outside and within the interior highlights the unique character of this outstanding two-door in a most stylish manner, emphasising the motorsport technology and uncompromising premium quality of the car. 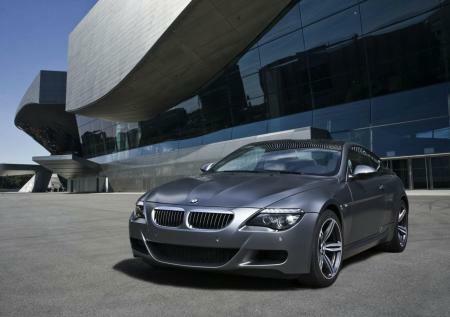 BMW Individual matt paintwork in Frozen Grey metallic accentuates the powerful and, at the same time, exclusive presence of this unique Coupé. 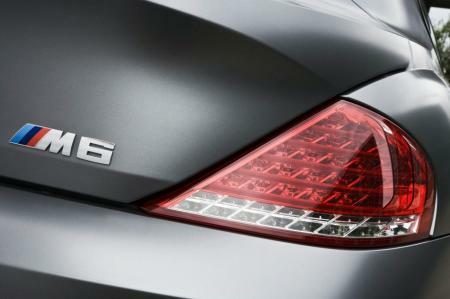 The BMW M6 Competition Limited Edition is being built in a production run of just 100 units. The exclusivity of this very special model is further symbolised by a special placard on the roof lining bearing each car’s serial number as a unique achievement in automotive technology. The interior of the BMW M6 Competition Limited Edition is available in two colour variants. BMW Individual all-leather upholstery in Merino comes either in Black with light-grey contrasted seams or in twin-tone Silverstone/Black with light-grey and black seams forming a special contrast. Merino leather comes on the seats, the headrests and side panels at the rear, the instrument panel, the trim cover on the driver’s side, the glove box, the armrest, the handbrake lever gaiter, as well as the door and side panels. The door closing handles, in turn, are finished in black nappa leather. On the twin-tone model the seat center sections as well as parts of the door and side panels as well as the door closing handles come in black, all further elements are in Silverstone. On both versions footmats with a surrounding bend in Silverstone Merino leather as well as door cutout trim proudly bearing the “M6 Competition” model designation add the final touch to the exclusive ambience of the car.